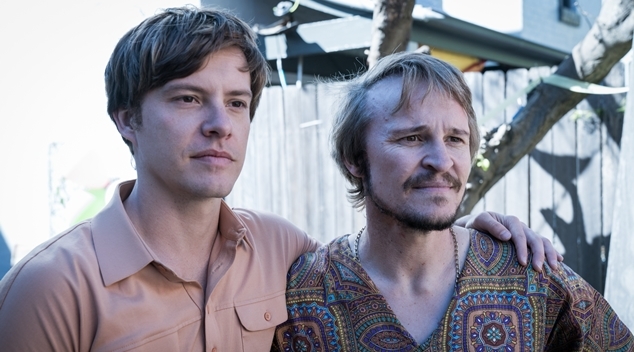 Riot, ABC TV’s movie about the birth of the Sydney Gay and Lesbian Mardi Gras picked up a bundle of awards at the AACTA Awards last night, Hannah Gadsby was also a winner for her comedy special Nanette, and the feature film Boy Erased picked up some trophies too. Riot won Best Mini-Series or Feature, Damon Herriman was named Best Actor in a TV movie for his portrayal of Lance Gowland, and Kate Box won for her portrayal of Marg McCann. Hannah Gadsby was awarded for her performance in her highly acclaimed TV special Nanette. Joel Edgerton won Best Adapted Screenplay for Boy Erased, but didn’t managed to pick up the acting award or directing award he was nominated for. The film also lost in the Best Film Category. The Best Supporting Female Actor award went to Nicole Kidman for her part in Boy Erased, beating stiff competition from Noni Hazlehurst, Elizabeth Debicki, Natassia Gorrey-Furber and Simone Kessell. Simon Baker was named Best Supporting Male Actor for Breath, beating Joel Edgerton and Russell Crowe for their roles in Boy Erased. Western Australian actor Daniel Monks was nominated in the lead actor category award for his film Pulse, while Lucas Hedges was in the running for Boy Erased. The winner was Hamilton Morris for his role in Sweet Country. Sweet Country from director Warrick Thornton was the nights big winner picking up the Best Picture Award and many others.